Suit of Lights - Break Open The Head. 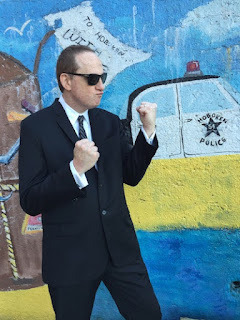 Background - Suit of Lights is an American music group founded by Joe Darone, formerly of The Fiendz and The Rosenbergs. Described as genre-defying, Suit of Lights artfully blends elements of 60's pop, punk, progressive rock, metal, jazz, and baroque pop. The group's alumni boasts members of Mr Bungle, Thursday, Streetlight Manifesto and The Tea Club. At an early age, Joe Darone dedicated his life to making art and music. Darone’s career as a drummer took him everywhere from CBGB’s to The Fillmore, from opening for The Ramones in his punk band, The Fiendz, to touring with Echo & The Bunnymen with The Rosenbergs. Darone is also a visual artist, creating artwork for the likes of Madonna, Agnostic Front, and Van Halen under the name Zeckle. He continues to create the album artwork for each Suit of Lights release. Ivey - All Things Good. 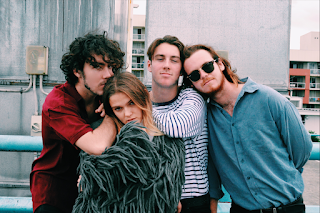 Background promo - Fresh faced, born and bred to take on new adventures, Gold Coast's Ivey have been charming the pants off music fans and critics alike since 2013. 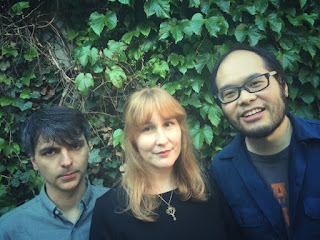 Remaining just as breezy and young in their delivery but continuing to tighten the screws, Ivey ask nothing more of you, dear listener, than to revel in their indie-pop dream. With half the band still tending to their high school studies, the young troupe is led by young Millie (15), with Lachlan (18) co-fronting on vocals and guitar. Matthew (17) and Dante (19) fill the rhythm out. With Millie at the front-and-centre, Ivey is empowering young teens, irregardless of gender, to pursue their passions. Febria - The End Of Something. 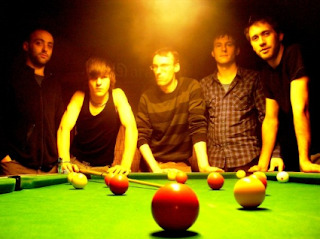 Background promo - Febria is a five-piece alternative rock band washed up on the banks of the river Usk. Originally formed in high school in Pontypool, and influenced by everything from prog, metal, grunge, indie and folk, they have recorded several EPs and a full-length live album, and have played many gigs around South Wales and the UK. Their music reflects a wide range of influences, varying from acoustic folk all the way through to dense prog, and they are proud of not easily fitting into one particular genre as a result. Their latest EP, 'The Sea Around Us', is their fifth recording, and they are currently working on their next release. 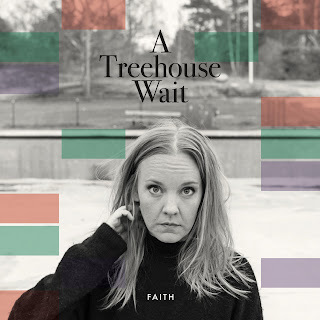 A Treehouse Wait - Faith. Background promo - Jenny Wahlström from A Treehouse Wait grew up with one foot at a country farm in the south of Sweden. She had her other foot in Asia, where her parents worked for several periods of time during her childhood. She has mainly worked as a songwriter in the EDM-stage, co-writing and performing with acts like Martin Garrix (Virus), Shermanology (Stranger) and Ferry Corsten (Many ways). Realising that it wasn’t just songs that made sense to herself, but the fact that people actually listened when she started singing re-inspired her. After spending a month in the USA, being the opening act for a Swedish folksinger, singer and songwriter Jenny Wahlström plucked up the courage to put the songs down on paper and record the songs she didn’t think she’d ever share with the rest of the world. A Treehouse Wait was born. The Big Bend - Celebrate. 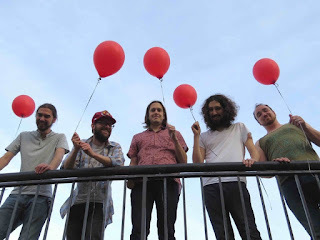 Background promo - “Celebrate” is the title track to The Big Bend’s new album that the always-reliable label Misra Records (Phosphorescent, Melaena Cadiz, Destroyer, etc) is putting out on July 22nd. Celebrate is the band's fourth release and has all the hallmarks of a career milestone, calling to mind early-‘70s Neil Young in its songwriting, with vocals reminiscent of The Mountain Goats’ John Darnielle.